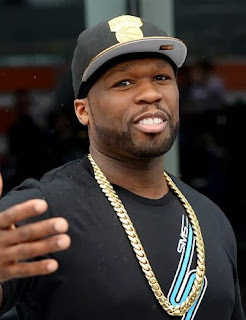 African American Rapper, 50 Cent on March 2 Instagramed a set of controversial pictures, which he deleted very quickly after posting. 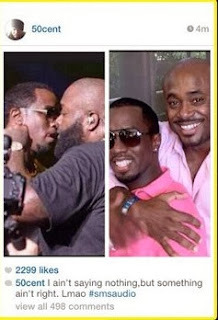 The post is made up of two photos: one of Steve and Diddy hugging in pink shirts, and the other of Diddy and Rick looking like they’re about to kiss thanks to the awkward angle of the photo. We're waiting for their reply on this one.